Enjoy an evening of live music, craft beer & tapas, and silent auction at "Bang the Drum" located at 950 Orcutt Rd. in San Luis Obispo. 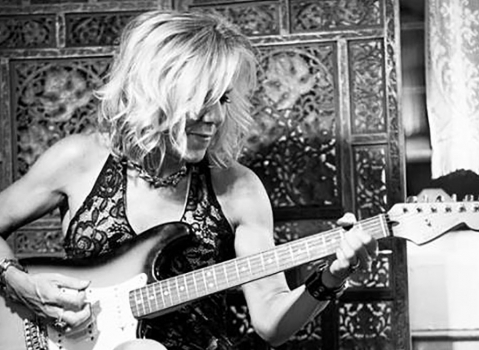 Guests will enjoy the smooth rock and soul music from the Kristen Black Band. Proceeds from the concert benefit the Community Counseling Center (CCC). Since 1968 the CCC has been a mental health safety net contributor and preventative care provider of affordable, professional psychotherapy for the economically disadvantaged and under insured residents of San Luis Obispo County. Tickets are $15.00 person and can be purchased at https://www.eventbrite.com/e/kristen-black-band-mental-health-counseling-benefit-concert-tickets-46698954831 or by calling the main office (805) 543-7969. Here’s to a warm, safe and happy summer to all!